I LIKE DETAILS, EVIDENCE, and organized notes. When I possess facts, I can clear the detritus around me, think straight, and proceed cautiously. Some might argue that this response is an overreaction to a complicated upbringing, or an overzealous affection for order; and in fact, that might be true. So when my intuition niggled at me that something wasn’t quite right with this particular accident, I tried to ignore it. The facts are that every summer in Glacier Park, there is at least one if not several hikers or climbers who stumble on unstable rock or lose their balance on wet, slippery boulders, sliding wildly out of control and catapulting to their demise on the jagged terrain below or into a raging stream, whisking them away. All of us Glacier Park Police officers and rangers know that the most dire situations are frequently born from small, seemingly insignificant errors of judgment where a hiker is impatient, for example, and thinks the shortcut across an early-season snowfield is a stellar idea. So this tragedy was no different other than the fact that the Loop—the hairpin curve on the west side of Going-to-the-Sun Road—was an odd place for a hiker to go down. Although incredibly steep in places close to the pass, it was, after all, near the main road and a small buildup of natural stone formed a roadside barrier at the curving, sheer edge. I stood with Ken Greeley, another Park Police officer, Charlie Olson, one of our seasoned rangers, and Joe Smith, chief of Park Police, on the short rock divider with Heavens Peak to our left. Nearly nine thousand feet of mass pushed to the sky and dominated the view west from the Going-to-the-Sun Road. Scraps of clouds reached northward from the permanently snow-coated peak like silk pennons. We had gotten word an hour before from Charlie. A tourist had spotted something white poking out from a dark shadow in the steep ravine, found Charlie talking to some folks near the outdoor bathroom facility, and asked him to take a look. Although difficult to make out details with the tricks shadows like to play on rocks, Charlie did agree—with the help of some binoculars—that it appeared to be a shoe, a light-colored sock, and an ankle illuminated by a bright strip of sunshine piercing the crevasse. “Think maybe it was a suicide?” Ken asked. Joe shrugged. He’d been particularly quiet for the past eight months since the well-known case dubbed Bear Bait, in which we’d found a man bound to a tree near McGhee Meadow in Glacier Park. The victim, Victor Lance, was killed and fed on by a grizzly, and one of Joe’s family members had been involved. I’d assisted a lead investigator from the Department of the Interior on the case. Twenty-five minutes later, Ken and I had our anchors set and we were ready to gingerly rappel over the edge, down two hundred vertical feet into the shadowy ravine. Two other experienced rangers, Karen Fortenson and Michael Bridwell, were brought in to man the anchors and assist with the ropes from above so that the weight was transferred appropriately through the pulley system. Each full-time park ranger and all Park Police officers are trained in basic emergency medical service, including Search and Rescue and rope rescue, but some have more experience than others. I was glad to be with Ken who I knew had been on a fair share of rope rescues in the past few years. In addition to some on-the-job training, I had been scaling mountains since high school. I joined a local hiking and rock-climbing group in Columbia Falls, my small hometown located at the mouth of the canyon leading to Glacier Park. I had seen a flyer for the group on a bulletin board at a grocery store and called because I wasn’t the type to mope around at home after completing my schoolwork. Since it was just getting started and had only a few members—a few mellow twentysomethings—they welcomed me, even though I was only a teen. I spent many weekends roaming the surrounding mountains of the Flathead Valley with the guys in the group, who asked me very few questions and basically treated me with respect, something I wasn’t used to from my own father or brother. They taught me what they knew about backcountry hiking, camping, rock climbing, and rappelling. I loved the notion that I could challenge myself by moving through untamed places that forced me to handle myself and my emotions on a grander scale. And, Jesus, to simply escape! To leave the house for hours to cleanse the mind under an endless sky, to be away from where the air always seemed thick and the ceiling heavy. With a hard hat on and the sit harness around my legs and waist, I walked backwards out and away from the cliff where Ken and others stood. I controlled the brake with my right hand and descended slowly, keeping my feet close to the cliff until I made it down into the ravine. I removed the carabiners from my harness and watched Ken make his descent. He was a large, muscular guy with almost no neck, a shaved, shiny head, and shoulders perpetually raised toward his ears with the bulk of his muscles. I was the opposite: lean and just shy of five foot nine, thick hair with graying sideburns that contradicted that I was only thirty-four, and dark, determined eyes that looked like I trusted everyone, but rarely took no for an answer. When Ken reached the ground, we hiked over cool, shadowed rocks and through brush. A few yards from the victim, I stopped, took off my glasses and rubbed my eyes. I could feel my own heart thumping in my chest. The surprise and shock I felt from seeing the damage inflicted upon bone and flesh from smashing into rocks, the violation of our everyday perception of the human body, was something I never could get used to. I held out my hand for Ken to halt as well, then I let out a low, soft whistle. I put my glasses back on and took in the scene. It felt suddenly quiet and intimate, as if the breeze had quit rattling the leaves, the hawks had gone silent, and McDonald Creek below us had ceased to roar from its full flow of spring runoff. But I knew none of this had happened; it was just an effect of my shocked senses in spite of how many times I’d seen it before: five to be exact. Three climbing incidents on the popular climbing peaks at the top of the pass, one fall into McDonald Creek, and one hiking accident in which the man had slid down a snowfield and off an abrupt ledge. Before us, blood had stained the rocks around the back of the victim’s head. His skull was flattened, broken open like an egg with cerebrospinal fluid, gray brain matter, and blood drained out onto the rocky ground. His face was crushed, torn, swollen, and unrecognizable, but I could see what looked like facial hair streaked with blood and dirt. Every single limb lay twisted in awkward and unnatural angles, badly gashed and coated with dried blood. He had hit rock probably several times on the way down, using his hands instinctively to try to break the first slam. His hands and wrists were shattered up to his elbows, one thumb completely ripped off. The other arm lay hidden and abnormally cocked under his back with his shoulder joint dislocated. He looked like a badly broken Ken doll. There was something familiar about the illogically crooked, disfigured body and at the same time, nothing at all recognizable. The man had long, dirty-blond and curly locks, also marbled with dirt and caked blood that had turned the color of rust. He had on army-green shorts and a tattered T-shirt that looked like it might have been white or yellow, but it was torn, covered in grime and body fluids and was hard to tell. One foot missed its hiking shoe, which had probably popped off on impact and been cast into some bushes even farther below. I could hear tiny insects buzzing and zigzagging. Small blowflies had already swarmed into the mucus in his eye sockets, his mouth, and other wounds. My mouth went dry, then began to water. He smelled of death, a copper odor mixed with beef gone bad. I ignored the queasy sensation in my gut and pulled some nitrile and vinyl gloves out of my pocket, put them on, and walked to him. The instinct is to offer comforting words as if the person was still alive, to say, Are you okay? Help is on the way, but I shook the urge away and knelt beside him. Still grasping for the ordinary, I began to reach out with my two fingers toward his neck to check his vitals, then stopped. Checking for a pulse was as futile as trying to console him. It was obvious his neck was broken, his skull lacerated, and the life gone out of his one partially open eye, already gone opaque. The other was swollen shut. I withdrew my hand and shook my head to Ken. Ken didn’t say anything. I could hear him breathing—strong exhales through his nostrils and he had ceased smacking his gum. He was usually hard to keep quiet and was not acting like his chatty and eager self. I chalked it up to the task at hand. “Bonus,” Joe said, and I could hear him sigh like he didn’t want to be doing this so early into tourist season, which really fires up around the Fourth of July. Ken took out a tissue from his pocket and plucked his gum out with his thumb and forefinger. He briefly looked at it with disgust, then wrapped it in the tissue and placed it back in his pocket. I didn’t bother to tell him he’d be better off continuing to chew it or to grab a new piece because it helped minimize the full onslaught of death’s odor. I wasn’t much older than Ken, but I had gone through some recent forensics schooling while he’d had very little, just the initial training program—stuff like criminal investigations, park and recreation law, criminal procedure, and penal law. I was certain Ken had only been on one or two death scenes before, and only as a bystander, although he’d been on plenty of Search and Rescue missions. Fortunately, I had recently spent hours in Georgia going over forensic analysis with a cadaver before me. After my time with Department of Interior agent Ted Systead on Bear Bait, I’d decided I wanted to enhance my knowledge of investigative services. I’d always been a fully-trained, permanent full-time law enforcement officer since I’d been employed by the park, but since I’m a good organizer and notetaker, I’d been pulled into administrative duties with the super. And before becoming a Park Police officer, I was a game warden in eastern Montana close to the Divide. But I hadn’t been on a crime case in a long time until the Bear Bait case popped up. After it, my hunger to be involved in investigative services deepened, and I’m sure it was no coincidence that my desire to plunge into something wholly absorbing coincided with being separated from my wife, Lara. I admit I have a propensity for a bit of tunnel vision, for working feverishly on things that catch my interest. Lara would tell you that it was a problem at times—how I could tune out our lives and escape into the pull of a new task. I’ve been this way for as long as I can remember. So once I caught the investigative bug, I no longer wanted any part of the administrative duties I’d been mixed up in for the past few years. I asked Joe, and he agreed to send me to a refresher course in Brunswick, Georgia, on Crime Scene Investigative Procedures, Evidence Collection and Analysis, and another on Modern Forensics. I removed my pack and pulled out another pair of gloves for Ken, some evidence markers, and my notepad while he grabbed the camera. “Yeah, right,” Ken said. He looked away, to the cliffs above us. A hawk sailed by. “Might’ve slowed both processes down quite a bit. The coroner or pathologist should be able to tell us more, depending on how far this goes.” Often with accidents like these, an autopsy is done regardless—just to be thorough because with a fall, it’s always harder to know if foul play occurred. Of course, the family’s wishes would be respected, but we’d request an autopsy, get the ducks in a row. Better safe than sorry. “Now would be good.” I backed away and motioned with my gloved palm to signal all yours, and he snapped away. Flashes disrupted the shadows in the ravine until Ken stopped, moved the camera away from his face, swallowed hard, and wiped his forehead with the sleeve of his uniform shirt. I could still hear his breathing, heavier now. “You okay?” I said. Ken took a step back, also tilted his head to the side and squinted, his thick, sunburned neck bunching on one side. “Carbo doesn’t do superficial. She gives her characters weight. 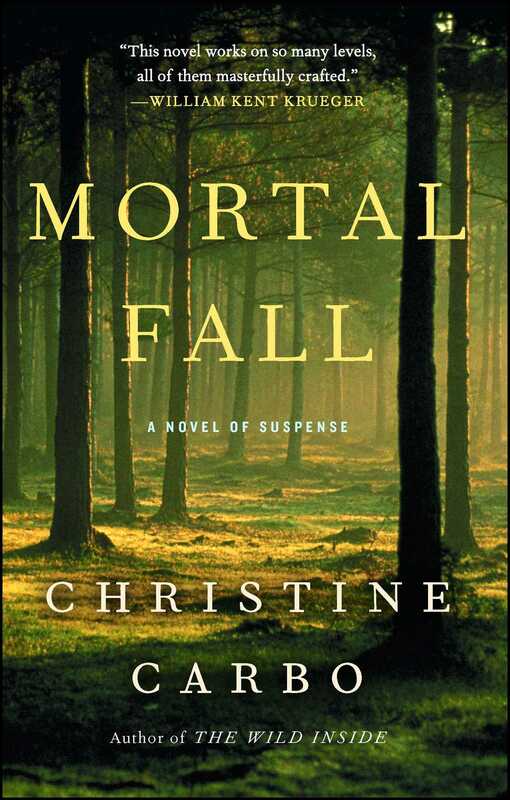 And like her debut, Mortal Fall provides a story with dual tracks—the investigation into murder and the rugged journey of the soul." “[Carbo] writes with a sense of simple realism that comes from being a local. The grandeur and beauty of Glacier isn't over-written, nor ignored. Carbo has a strong grasp of the area and writes with proficiency. The beauty and grit that is the Flathead Valley and Glacier is easily overwrought, and surprisingly, Mortal Fall is not….It's the perfect mystery to read beside the lake, not creepy or nightmarish. 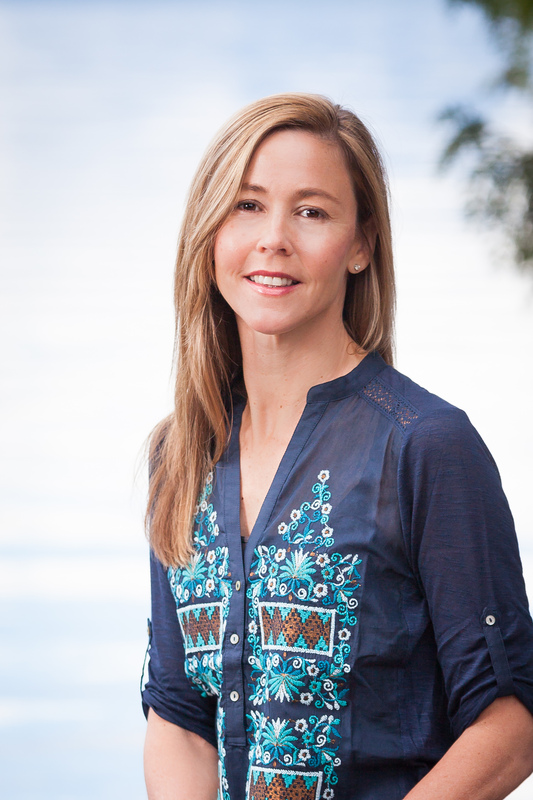 Mortal Fall is a well written case of murder, set in a beautiful place." "I found this book more and more engaging as it moved along a dark and dangerous path to a surprise conclusion." "The most powerful and compelling aspect of the novel is the balancing of criminal investigation and the emotional baggage that burdens the protagonist....The wilderness provides a lush background for this combination of crime and personal redemption, the resolution as nuanced as the death of Victor Lance."